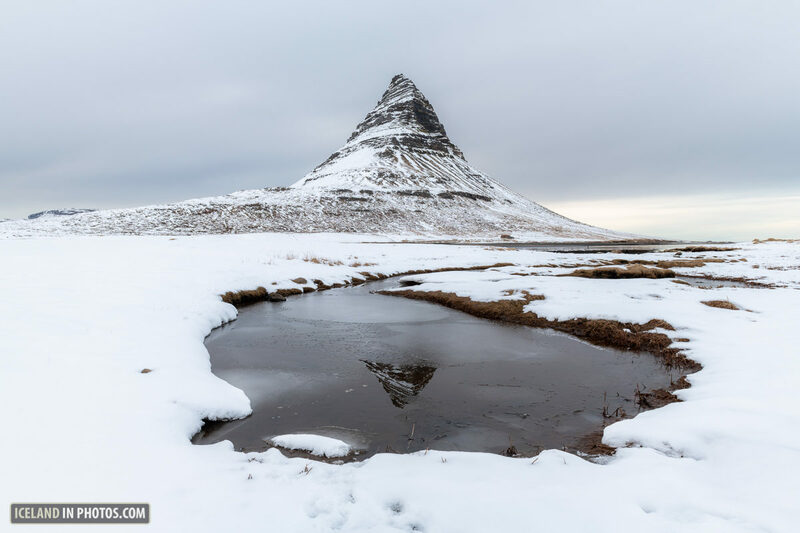 Kirkjufell mountain in snow simplifies the scene. It´s nice to break all the rules. Centered, no rule of thirds, but who cares. It works and leads the eye into a strong scene. This winter feels like three winters. Not only because we have been working for months in the office. Three times we have seen heavy snow come and go. This means the weather is constantly changing. It also means the appearance of the landscape is changing, which is a good thing. 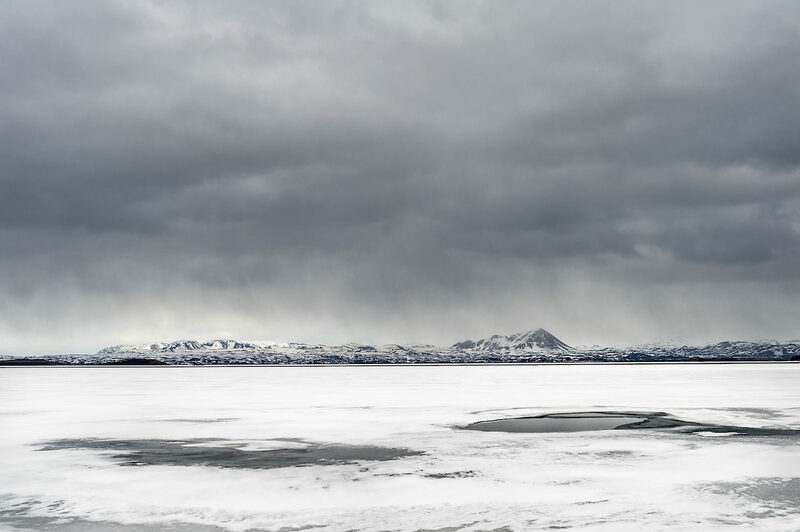 For the past few weeks we have been working on our winter landscape photography, traveling both east and west. 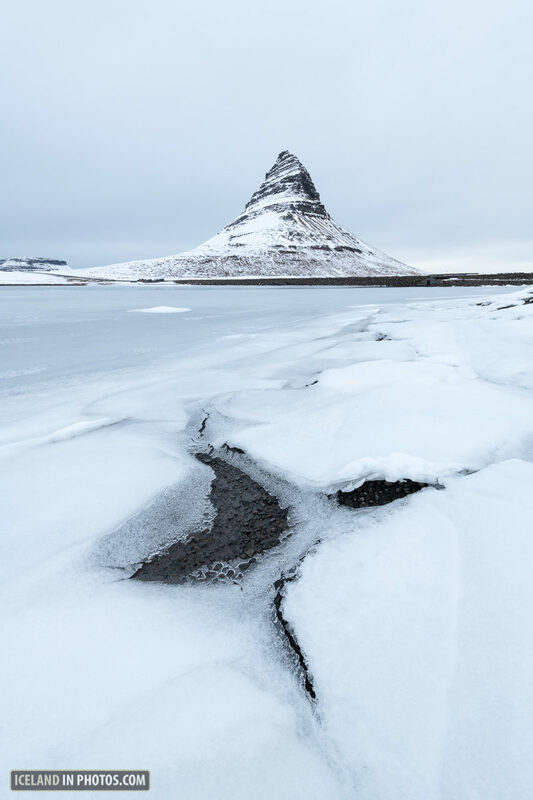 Traveling in Iceland this time of year can be risky, but checking the weather forecast twice a day keeps problems away. 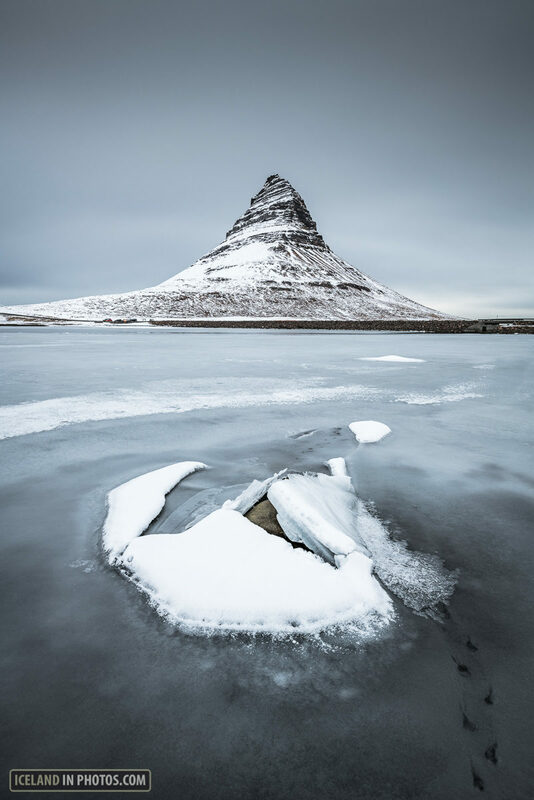 The white world of Kirkjufell. Simple sky and simple foreground with leading lines to the mountain. Coming home to edit the photos we noticed a common element in many of the photos we had taken. 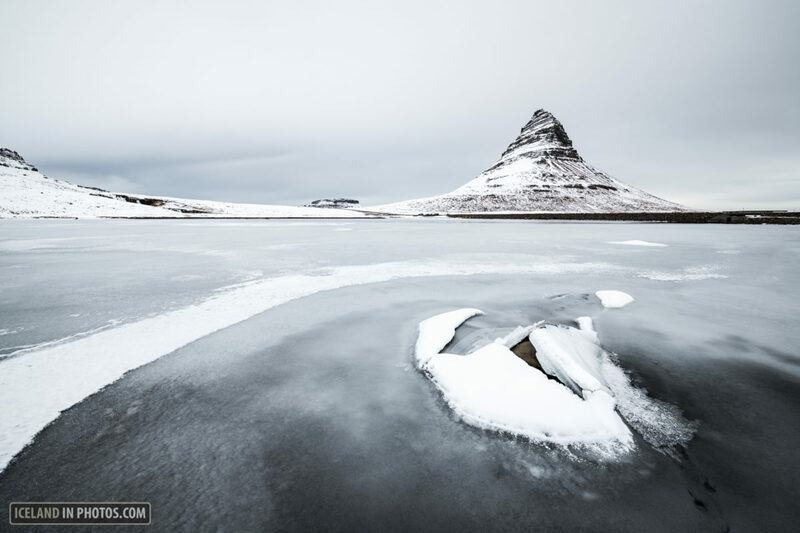 Winter scenes offer one important thing to composition – simplicity. The white snow makes scenes less complex and gives the opportunity to find simple compositions. 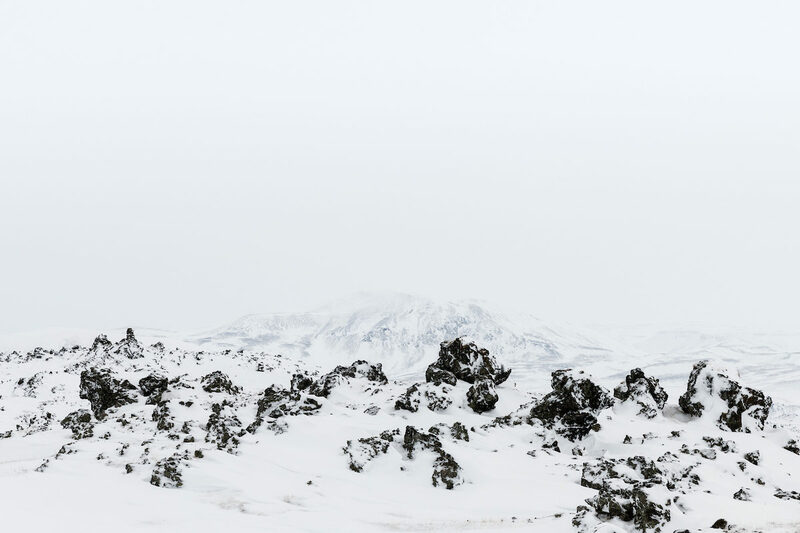 Lava fields create a contrast against the whiteness in the fading background. Simplicity plays a important role in design. Steve Jobs proved that. I think simplicity in photography is just as important as the rule of thirds, leading lines, foreground and good light. It works in a way as a negative space which is both practical and appealing. We make a living by selling our photos. This means we have to be practical as well as artistic in our photography. Being able to offer negative space in photos with simplicity opens up possibilities for designers using the photos. This is where snow scenes are strong. It is important to have parts of a photo with negative space which can be used for text or graphics. Myvatn in the north of Iceland. The weather there is never the same for longer than five minutes. Not all photos need to offer negative space through simplicity. It is simply practical to offer some photos with this element. Hraundrangar in the northern Öxnadalur. 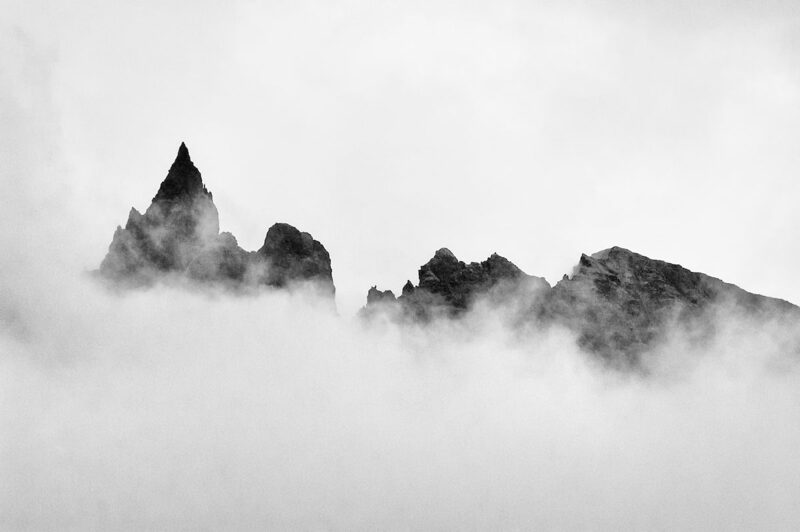 The peaks are often surrounded by fog. The blue hour is wonderful. It´s not dark, but the light is fading fast which creates a darkness in the sky. Tracks by a bird in the foreground. 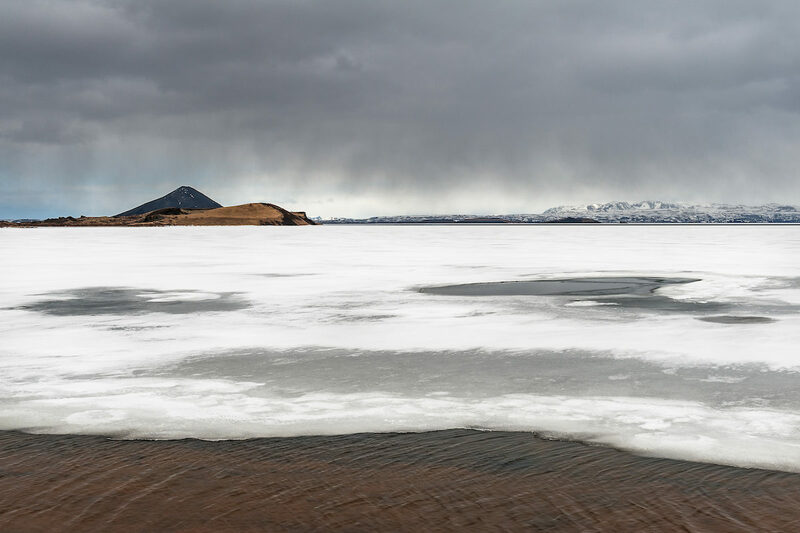 Layered and icy Myvatn lake. 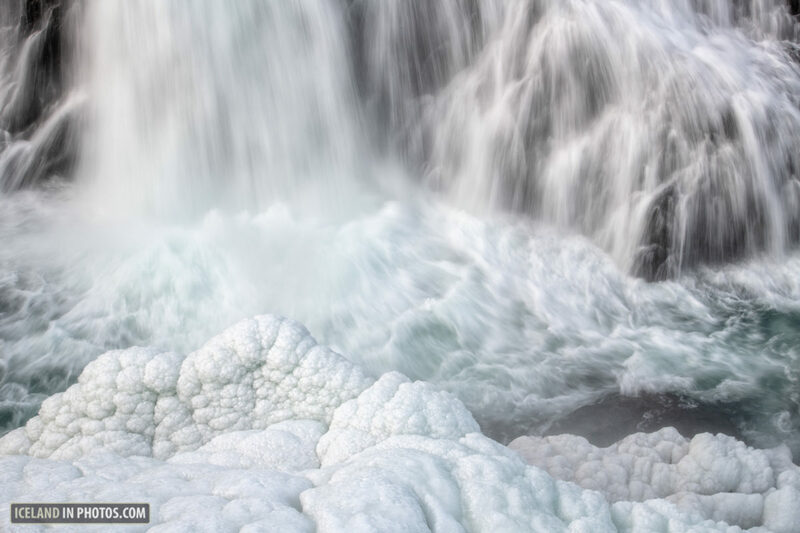 Reykjafoss in Skagafjordur in north Iceland offers strange looking ice. By using a ND filter and taking the photo at 1/8th of a second the water get´s a bit silky and decomplexes the scene, but still gives the feeling of speed. 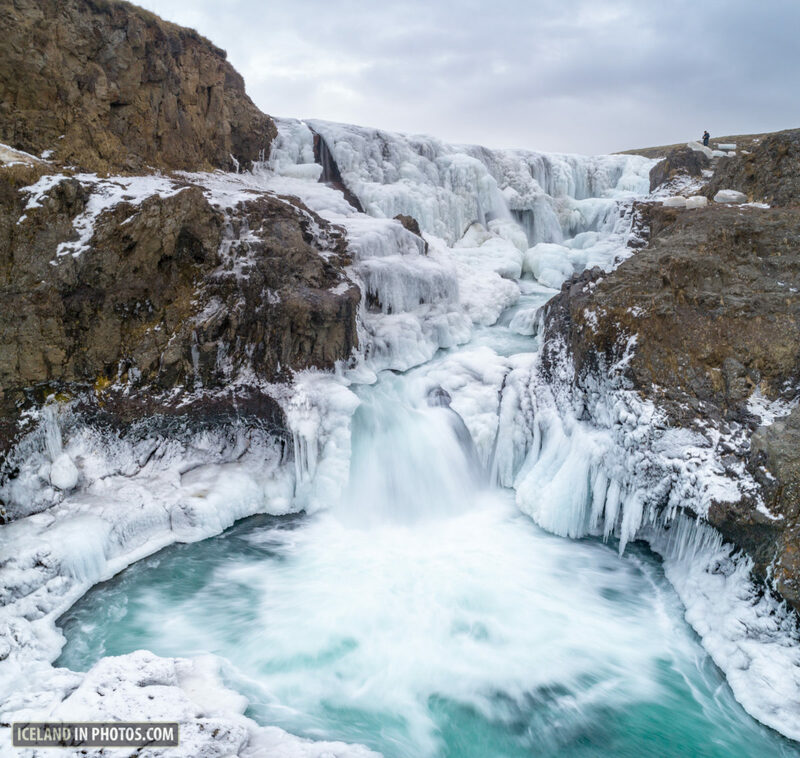 A drone shot of Kolugljufur canion. The least complex scene in this blog. I think this scene works better with the frozen snow than in the summertime. Simplicity is one reason filters are common in landscape photography. Long exposure gives water and clouds a silky-dreamlike appearance.